Where does the time go? I looked around the other day and discovered that Wikipedia was 12 years old. I remember when it was a stumbling child. People thought it was cute in those days: an amateur attempt at “all of us are smarter than one of us.” Of course, real academics frowned on such antics: knowledge was their personal property, and one simply didn’t throw it around promiscuously. However, even as their teachers scolded, tons of high school students — and more than a few undergrads — were salvaging their GPA with daring midnight raids on Wikipedia’s fact factory. In the last decade those undergrads have grown up — and so has Wikipedia. Today, both are shaping the society that a couple of years ago didn’t take either of them seriously. Wikipedia is the latest attempt at gathering the world’s accumulated knowledge into one mighty force which, since knowledge is power, fears nothing. The Egyptians tried it, a little over two millennia ago, with The Great Library at Alexandria. It worked quite well for a couple of centuries, until one sultry night, in 48 BCE, it got in the way of Julius Caesar’s legions, and he burned it down. Accumulated knowledge has always been at the mercy of fire and the ambitions of politicians. From that time, despite what various apologists will tell you, it took us seventeen hundred years to try again. In 1728, Ephraim Chambers, a printer in London, collected everything he and his friends knew to be true, and wrote it down. The Chambers’ Cyclopaedia wasn’t the first of its kind, nor the best, but protected by the rule of British law and the guns of the newly minted Royal Navy, it not only survived, it grew. Of course, not to be outdone by their nearest and dearest rivals, the French printed their own encyclopedia, Encyclopedie (Extremely long name) in 1751. This, in turn, prompted the British to haul in the big boys; a couple of Scots named Colin Macfarquhar and Andrew Bell, who produced the Encyclopedia Britannica, in 1768. 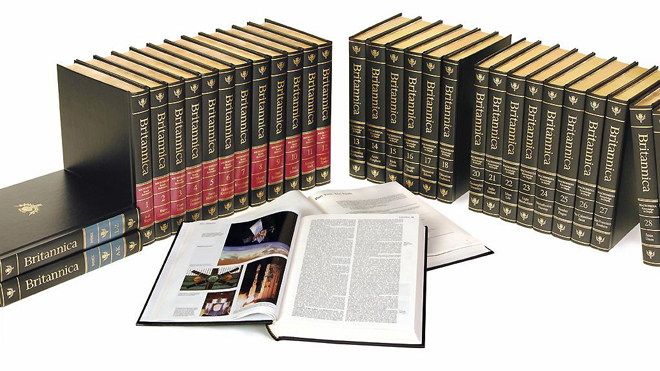 For the next 250 years, even though there were 1,001 imitations, the Encyclopedia Britannica remained the Big Kahuna of “all ye know” in the world. And its reputation as the “go-to” guy for “and all ye need to know” was such that the Nazis thought it worthy of incineration in the 1930s. Had the Nazis spent more time reading books instead of burning them (thanks, Indiana Jones) the world’s knowledge may not have survived the mid 20th century. Fortunately it did — and after World War II, Britannica (or something like it) migrated to every library and suburban school in the English-speaking world. 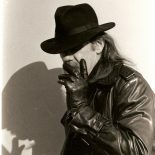 It was the greatest mass distribution of knowledge since Gutenberg and a serious blow to a lot of post-war know-it-alls. Encyclopedias were everywhere, but they still weren’t necessarily everybody’s. The world’s knowledge was still controlled by an exclusive club. If you’re of an age, you remember the Encarta discs from the 1990s. They made every computer in the world a fountain of knowledge, not only readily available, but portable. Suddenly, everybody from nuclear physicists to primary school children could carry the world’s repository of information in their backpacks — and frequently did. From there, it was only a few short digital steps to Jimmy and Larry and the final democratization of the accumulated wisdom of the world. 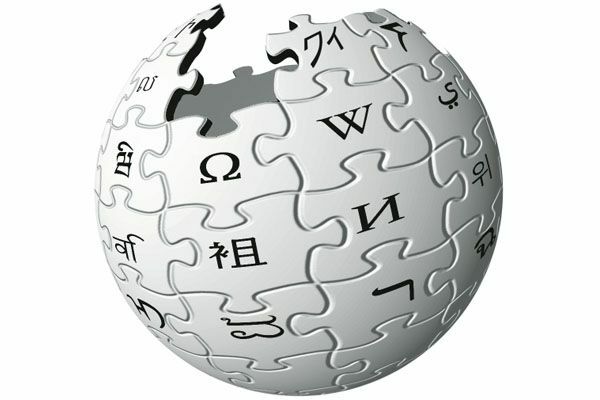 Jimmy Wales and Larry Sanger launched Wikipedia in January, 2001. It offered the world’s knowledge to the world, without restriction or restraint. It was information “of the people, by the people, for the people.” Twelve years later, the sum total of human experience is now available to anyone with a telephone. Information is no longer the exclusive province of the few – jealously guarded and subject to attack. Literally billions of people carry it with them, at school, on the bus and where they work. It cannot be burned, stolen or hidden away. It is the best defence against the next Adolf Hitler who comes along with a bunch of marching torches and a “better” idea. The age of the flammable page is over. 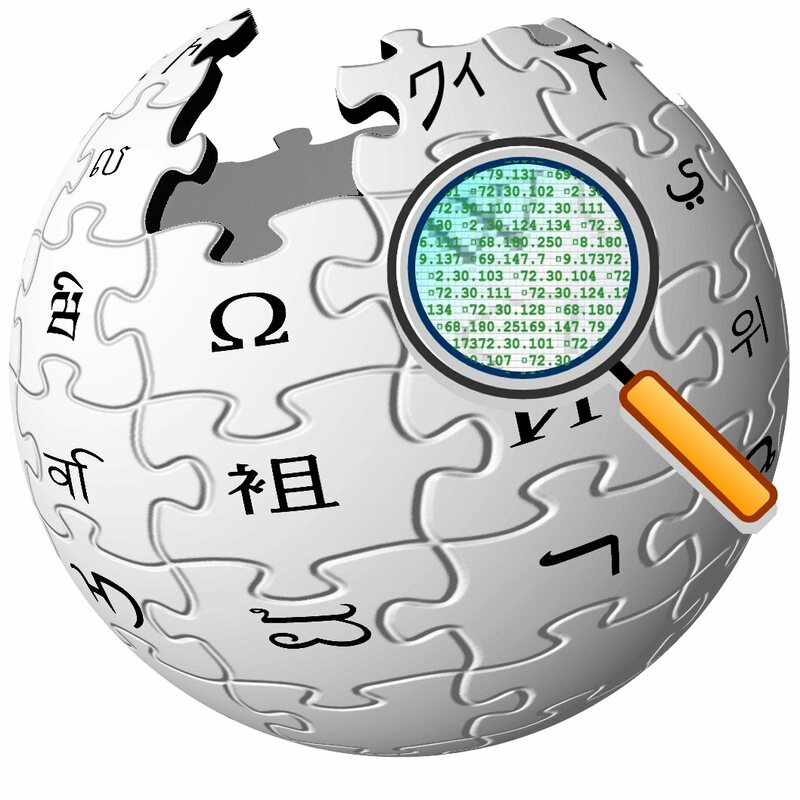 Happy Birthday, Wikipedia! You’ve come a long way, baby! Thanks for dropping by. Wikipedia has become an essential part of our society. This entry was posted on January 28, 2013 by wdfyfe in History, Social Media and tagged information, Jimmy Wales, knowledge, Larry Sanger, Wikipedia, wikipedia anniversary.